The FURUNO DFF1, DFF3, BBDS1 and DFF1-UHD can turn any NavNet TZtouch display into a powerful, dual frequency fish finder. 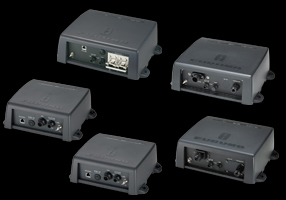 They can be connected directly to a NavNet display or an Ethernet hub with a single Ethernet cable. All support a variety of transducer options. 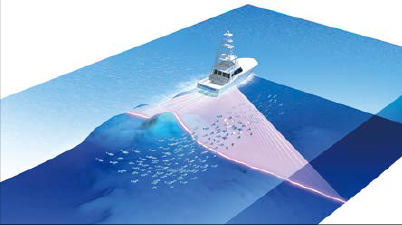 New Multi Beam Sonar model DFF-3D gives you real-time 120 port-starboard view of the water column and seabed up to 200m depth*. The DFF-3D allows you to explore fishing spots and find fish in deep water by far faster than conventional single beam sounders. On the other hand, the main beam penetrate right under the boat at a depth of approximately 300 m*. Installation is made easy, thanks to a compact transducer design. The built-in motion sensor gives you clear images under your boat even in rough water. * Maximum depth dependent on installation, bottom type and water conditions. An advanced technology for professional or enthusiastic fisherman.Designed to operate over a broadband range of frequencies utilizing a broadband transducer, the TruEcho CHIRP™ network sounder DFF1-UHD delivers significant advancements in signal clarity and target definition. The clear presentation of the sounder marks individual game fish and bait fish, even when tightly schooled together. FURUNO's award winning networkfish finders offer a unique fish size analyzer function, ACCU-FISH™. 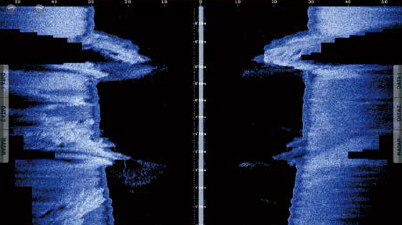 The ACCU-FISH™ algorithm analyzes echo returns to compute individual fish size and show it on the screen. 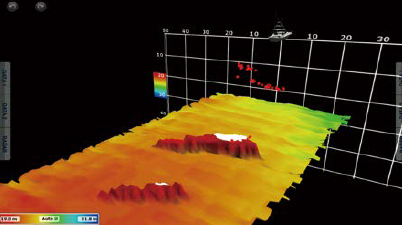 In some instances, fish size indicated on the NavNet TZtouch may differ from its actual size. Please carefully read the operator's manual prior to utilizing this feature. 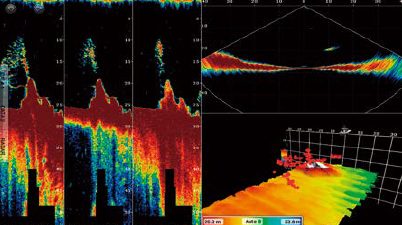 *ACCU-FISH™ is capable of detecting individual fish at the depth of 2 m down to 100 m and computing the fish size of those ranging from 10 cm to 199 cm. 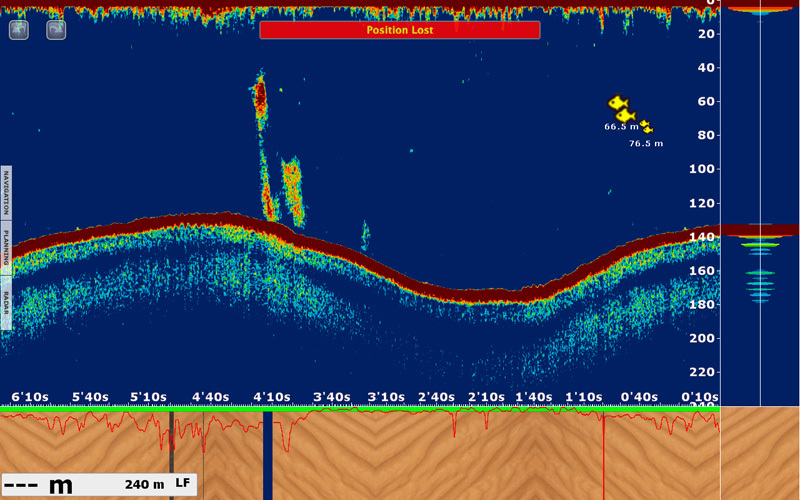 Utilizing input from new Network Fish Finder BBDS1, the bottom discrimination display will be shown in the following four categories; "Rocks", "Gravel", "Sand" and "Mud", either in dedicated graphics or colors. This information is helpful in spotting the rich fishing ground where you can boost your catch of the day.